The smartphone keyboard is back. No, RIM hasn’t released a new BlackBerry. This is something far better and more futuristic than we could have imagined. At the SID Display Week in Boston today, Tactus Technology unveiled its new tactile touchscreen technology, which allow physical buttons to rise up, or disappear from the screen instantaneously. The buttons can take nearly any shape, which Tactus says will allow device manufacturers to create gadgets with entirely new form factors. The company boasts that this is the “world’s first” such technology to provide this next-generation feature. The Tactus Tactile Layer is not itself a touchscreen. Instead, it is a a thin component that fits over top of the touchscreens already on smartphones and tablets. 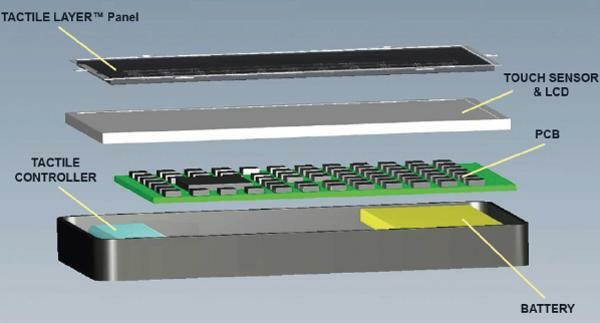 Tactus says the Tactile Layer, which must be installed and optimized by device makers, is thin enough that it does not add any noticable girth to a smartphone or tablet. The 1 mm-thick Tactile Layer contains tiny channels that contain a non-toxic fluid. A small internal controller then increased the amount of pressure in certain portions of the Tactile Layer’s liquid, causing them to rise into buttons of whatever shape. Tactus also announced a partnership with Touch Revolution, a unit of TPK Holding Co., which is the largest manufacturer of capacitive touchscreens in the world. The company expects it to arrive in a wide range of gadgets, from smartphones and tablets, to remote controls, gaming devices, and even medical technology. 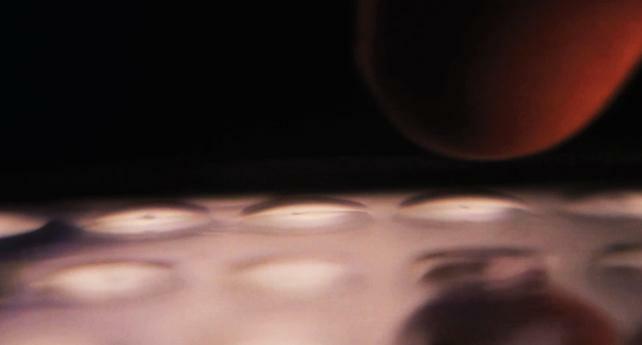 Tactus says it will begin shipping its Tactile Layer to device manufacturers in mid-2013.